Nestled in the hills of the Santa Cruz Mountains and just a stone’s throw from San Francisco Bay, lies Mountain View, California. Mountain View’s oldest home, the Rengstorff House (or “R” House for short), is a renovation success story. 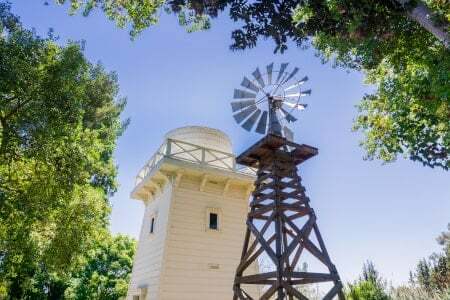 A community organization came together, known as the Friends of “R” House, to restore the home so future generations could appreciate and enjoy one of the best examples of Italianate Victorian architecture on the West Coast. They had a big job ahead of them. The home had fallen into disrepair and had even been vandalized. Land developers almost tore it down before the city purchased and relocated the building. During the $1.5 million restoration, much of the structure was replaced with replica materials. However, they preserved as much of the original framework as possible, which can be seen in the “peek-a-boo” cabinets on either side of the front door, revealing the original construction. The 12-room home now boasts period-accurate brass chandeliers, push-button light switches, plaster rosettes, and wallpaper. Outside, brick patios are surrounded with lush green lawns, gardens, and natural landscapes. 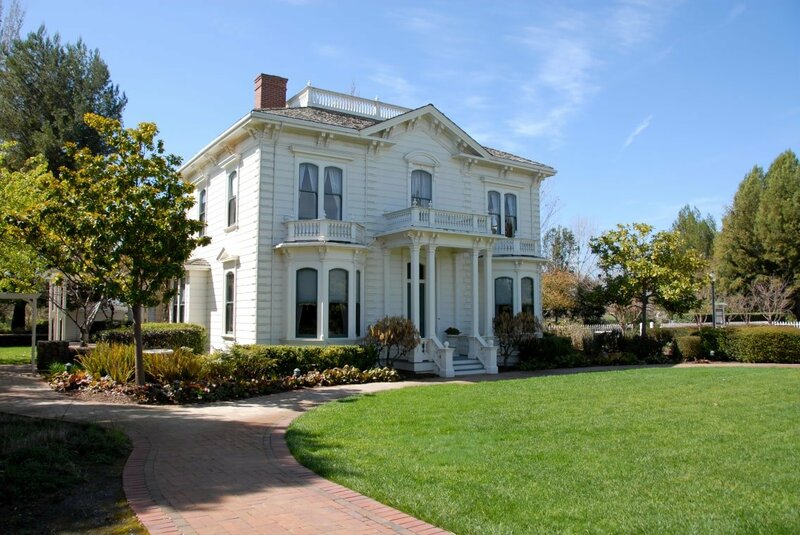 The Rengstorff House is open to the public for tours 3 days a week. It’s also available for rent 7 days a week and is a highly booked wedding venue from April through mid-October. Thanks to the Friends of “R” House, every guest can experience a taste of another era while helping to preserve that history for generations to come. As with any public historic property, you can imagine how much wear and tear the floors and other surfaces must endure. With all the foot traffic and contact with the ornate wood decor, it’s imperative that the home receives regular, thorough cleaning. The Friends of “R” House host fundraising events and sell “R” House merchandise to fund the continued upkeep of the home. Modern equipment, if not used properly, could damage already stressed surfaces of this and other historical properties. Cleaning crews must be well trained in order to keep the finishes intact on all wooden surfaces. They must be able to clean the high ceilings and windows, fireplaces, and be experts at stain removal. Some historic property cleaning crews utilize special equipment such as the Rainbow, that collects dust in a water canister to prevent it from scattering across interior surfaces. Outdoors, pressure washers are key in keeping patios and walkways free of dirt and mildew. If you own a historic home, it’s our hope that you will be inspired by Rengstorff House’s success story. Browse through our articles for tips and tricks on how to keep your little piece of history looking great for years to come.